An Artesia man pleaded guilty in the Fifth Judicial District Court on May 24 to trafficking a controlled substance. 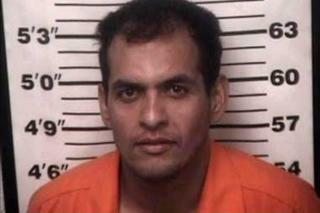 was investigated by the Pecos Valley Drug Task Force for his role in trafficking methamphetamine in the Artesia area. During the investigation PVDTF Narcotics Agents learned that Ortega was currently on probation for a prior drug trafficking conviction. During the investigation agents were able to show that he was directly involved in selling methamphetamine at an address near Atoka, in Eddy County, just south of Artesia. During the sentencing hearing before the honorable District Judge S. Gray, Ortega also admitted to being a habitual offender. This criminal investigation was a collaborative effort between the PVDTF, the Artesia Police Department, the Carlsbad Police Department, the Fifth Judicial District Attorney’s office, the Bureau of Land Management, and the Eddy County Sheriff ’s Office.